Heavy square wave electronics from Levi under his own name instead of the Vexations moniker. 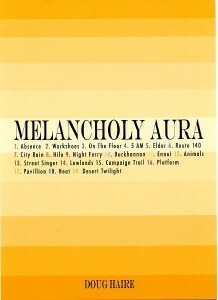 Unlike other releases on this label, this one has titles for each side. The first is “Bite Her Lip” and the second is “Someone Who Has Lost a Lot of Blood”. Both display intense, crisp electronics – not distorted as one some other releases but that dense, metallic harmonic quality. 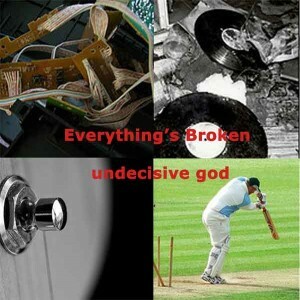 There are major portions of both than sound like being inside of a machine with its incessant throb. However as suggested by its title, the second side suddenly loses its lifeblood – the pulse – and spreads out, even if only for the final coda. 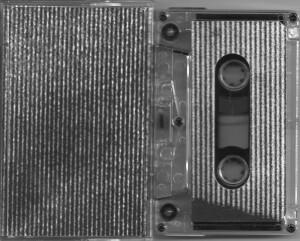 It is nice dissolution of the tape’s energy and a transition out of its head space. This is packaged in a double j-card card with both sides of both card being printed in b&w. The first release on Levi Berner’s new label Horseworship, following the demise of Zen Enthusia a while back. This release is Levi’s new solo project (he previously recorded under the names Algiers and Pity) and an excellent beginning. The first side is heavy waves of building, overblown synthetic sound drawing to mind the early period M.B. releases. The undercurrent of the heavy noise there is almost symphonic. The second side is more spacious in its separation of sounds yet still overdriven into the red distortion. This side unfolds doomy slow moving electronic moving in shifting layers. This one comes with a b&w translucent j-card with pretty much no info. This split sees the recent analog synth / new age revival strained through industrial eyes. The synths bubble and arpeggiate, but in a harsh way. 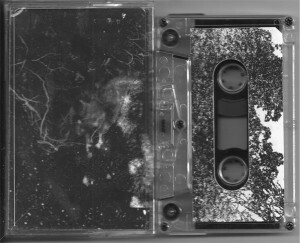 This gives it a musicality and progression that is shy of harsh noise without giving up the intense edge. Regosphere lean toward this noisier side more than the Vexations do and lay down a bleaker atmosphere with more distortion and tighter repetitions of sound. Vexation is blown out but oddly uplifting, sounding like it could be the soundtrack for a bootlegged outtake from the film “Blade Runner”. Although I enjoy the cassette overall, it is the Vexations side which stands out for me with its darkly sci-fi sound which almost suggests destroyed futurist cities that retain some majestic beauty. Both projects are one man outfits, the former being Andy Quitter from the Midwest, and the latter Levi Berner of Portland, OR. Levi is the one behind this label and it is nice to see him putting out recordings again after a period of only focusing on live performance. 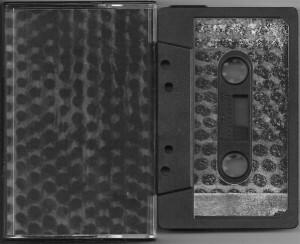 Like some of the other releases on his new label, this comes with two nested double-sided j-cards with b&w imagery. Unfortunately the edition of 60 was already sold out before I got around to writing this review, but thankfully the music is still available as a free download from soundcloud. 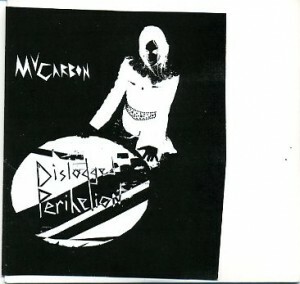 Old fashioned power electronics complete with spoken passages touching on playing with dead animals and being locked up. Well, that is an oversimplification. There are some intense blasts of in the red noise, but there are other passages with richer and more subtle details which makes the atmosphere closer to Ultra than Whitehouse. 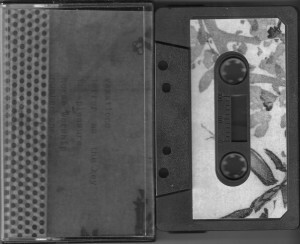 There is also a more up to date fidelity on this cassette which gives this a wider aural space lacking in a lot of later day noise. No titles are given and that helps me think of this release as one whole suite rather than contrasting individual cuts. It is nicely packaged in a double layer, double sided j-card (ie one inside the other) displaying densely posterized b&w images of nature. A pretty impressive first outing for a 19 year black metal kid just starting to explore this style. American electoacoustic composer Creshevsky is probably best known for his appearance on various LPs from the Opus One label (which was run by the recently departed Max Schubel); pieces from which were later collected for a CD release in Japan on the EM Records label. At least that is how I know of his work. Since those days he’s had a pair of discs each from Centaur Records and Tzadik. Keeping that trend, this is now his second CD on Pogus following 2008’s split with If, Bwana entitled “Favorite Encores”. This latest disc features seven compositions created between 2006 and 2011 with each focusing on a different soloist, seemingly as source material for electronically manipulated end products. 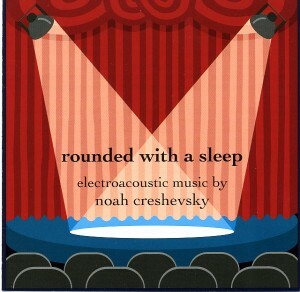 Among the featured players are Sherman Friedland (clarinet), Lisa Barnard Kelley (voice), Stuart Isacoff (piano improvisations), Tomomi Adachi (voice), Juha Laitinen (cello), and on “The Kindness of Strangers” the one trio of the disc with Gary Heidt (voice and guitar), Rich Gross (lap steel/banjo) and Orin Buck (bass). Each piece evinces a busy, almost hyperactive in some cases, flow of the material, with a multitude of individual notes and tonal variations. In fact the hyper- prefix comes up in Creshevsky’s liner notes as he explains his concept of Hyperrealism which is the mixture of real parts of our environment treated in exgerated, excessive or just plain hyper ways. So while the sound sources are acoustic in origin, the way they are assembled reminds me more of the approach of electroacoustic composition. One stated aim of this is to be able to take the performances beyond the limits of human abilities and create virtual super-virtuosos. This focus on individual sources is a bit of contrast to his earlier compositions which were often collages of disparate material, yet still retains some of the same internal logic. And I suppose keeping with his reputation for juxtaposition, two of the tracks do add what appears to be virtual instruments to the featured soloist and the opening, title track credits no performers, which points to the likelihood that all the sounds on that track are sampled. Probably the furtherest out track on the album is “Tomomi Adachi Redux II”. The piece’s titular vocalist might be known for his solo CD on Edition Omega Point, but his stylizations mostly clearly evoke a comparison to Chris Mann for me. “What If” also stands out for its arrangement of the hyperreal piano which heads towards the realm of Conlon Nancarrow yet don’t ape his style. Leo Küpper (spelled without the umlaut on his Pogus releases) is firmly entrenched within the electroacoustic tradition as can be borne out by his inclusion in several of the Cultures Electroniques compilations from the sadly now defunct GMEB/IMEB. Born in 1935, he worked with fellow Belgian electronic legend Henri Pousseur back in 1962. Küpper’s music didn’t appear on record until 1971 when Deutsche Grammophon released his amazing “L’enclume des forces” album in their Avant Garde series. Similarly mind blowing was his 1981 LP on the collectable Igloo label featuring the pieces “Kouros et Korê” and “Innominé”. All three of these pieces were honorably collected on a Sub Rosa CD in 2003, rescuing them from obscurity, although unfortunately leaving off one of the other pieces no doubt due to lack of space on a single disc. Leo had a second LP on Igloo in 1985 featuring the piece “Amkéa” and “Aérosons” which is where Leo’s Pogus disc follow from. 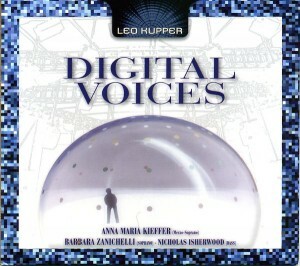 “Digital Voices” is Küpper’s third CD for Pogus Productions after a space of 13 years. As might be guessed from the title, this disc focuses on pieces of treated vocal sounds. In the five voice based pieces here, Küpper focuses on abstract vocals stating in the enclosed 40 page booklet that intelligible language distracts from hearing the actual sonorities of vocal performance. The comparison to Luciano Berio’s groundbreaking “Visage” (1961) immediately comes to my mind and I find it specifically acknowledged by Leo in his notes. These pieces are all much more recent, with the bulk of them composed from 2006 to 2010 and last being from 1993. Each of the vocal pieces features a single performer: Barbara Zanichelli, Nicholas Isherwood, and his frequent collaborator Anna Maria Kieffer. However, that said, both “Paroles Sur Lèvres” (Words on Lips) and “Paroles Sur Langue” (Words on Tongue) don’t credit any vocalist. In the middle of these voice pieces is a solo for santur (also spelled santoor by others – a Persian instrument similar to the hammer dulcimer, but much older) performed by the composers himself. It is a spacious and peaceful piece using a great deal of stereo imaging and apparently uses no instrumentalist to play it. Unfortunately exactly how this is done is not made clear in the notes. The opening piece, “Aviformes”, combines wordless soprano vocals with bird song in a seven part suite that reminds me of some of the later Jacques Lejuene work in its compositional form. “Kamana” up the prominence of digitally manipulated sounds to combine with the multiple layers, up to seven, of mezzo-soprano vocals and unspecified “instrumental sounds from around the world” but retains the aleatory structure of the previous piece. As alluded to above, the two “Paroles” suites don’t focus on a solo vocalist, but seem to work with an unknown choir singer in a deeper register. Following the progression already inherent, the electronics take an even strong prominence here with the vocals seeming to be more of a coloring. That said, it seems likely from the notes that the electronic sounds themselves are in fact highly transformed abstractions of the vocal material no longer recognizable as such. A couple of the sections of “Paroles sur Lèvres” bring in instrumental sounds again and all seem to use a degree of MIDI synthesis yet both contribute in a frenetic manner and avoid melodic or strictly metered forms. The closing “Lumière Sans Ombre” (Light With Shadow) is the logically follow up continuing with a similar compositional approach and sound sources the exception of focusing on Isherwood’s bass vocals. The closing piece is the closest to classical tradition with the song based on Slavic liturgical chant. Nevertheless it does retain its otherworldly digital atmosphere through the inclusion of various synthetic sounds. Overall there is a compositional unity among all the pieces on this CD while still allowing each composition to have its distinctive qualities. Unlike other Pogus CD, this disc comes in a cardboard gatefold cover, probably in part due to the inclusion of a thicker than normal booklet. Following the wonderful “Artefacts of Australian Experimental Music 1930 – 1973” CD compilation, Clinton Green presents some of his own piece for guitar with manipulated records and effects. While most of the piece achieve a nice density, there is none of the refinement which is evident on many of the archival recordings which Clinton has been wonderfully unearthing. The majority of the piece here feel aimless as they scutter around. More amusing the collage “Non-Cricket” which stitches together the moments of a cricket game on TV between the commentary and ball playing. What’s left is mostly the distant roar of the crowd creating an open and airy 8 minutes.